Alisha Cannon loves a challenge and has transformed her clients into having the hair of their dreams. 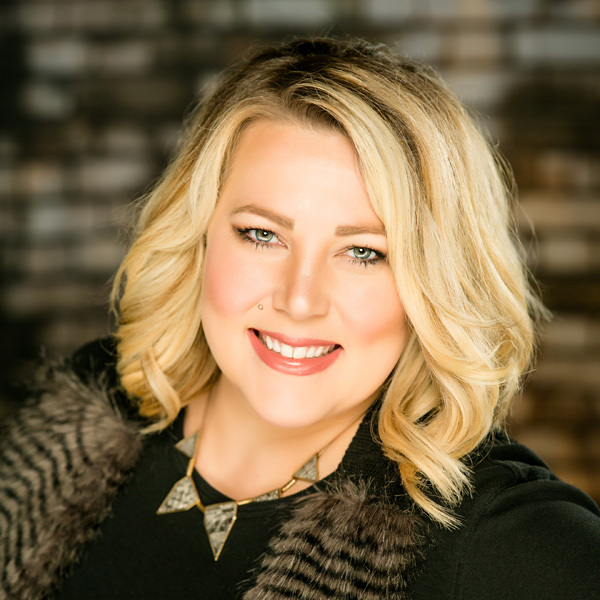 Alisha started her love for hair in Omaha, Nebraska at Xenon, and graduated there in 2005 with her Cosmetology license. After graduating, Alisha moved to Los Angeles, CA to follow her dreams. There she furthered her education by attending Westmore Academy of Cosmetic Arts. Alisha refined her skills at the Academy and practiced special effects makeup, glamour makeup, and more. With those skills she worked at a special effects company that performed jobs that varied from helping soldiers train for going oversees to making zombie makeup for The Walking Dead and Call of Duty campaign. When she wasn’t traveling around the United States and Canada doing makeup she was working at a salon in downtown San Diego, perfecting her trade. Now, Alisha has moved home to be closer to her family, and has settled in Sioux City, IA with her husband and four kids (this girl can multi-task!). Alisha loves to get to know her clients, and to create the look they desire. She is fantastic at making people blonde and color corrections. You will not be disappointed when you book with Alisha Cannon!